Smoking cigars is part experience, part art, and part adventure. The cigar accessories you choose become an extension of your personality. We carry a wide selection of quality cigar lighters, cutters, ashtrays, cases, gifts, and smoking accessories! For every budget, for every situation. The days of biting off the end of a cigar have long since fallen by the wayside. Really. Don’t be that person! Today cigar cutters are a merger of art and function. Choosing just the right cutter that fits your cutting objective (and personality) is just the thing we are glad to help with! Whether you are looking for a straight cut, Punch cut, or a ‘V’ cut, we have combed through the choices to bring you the highest quality of cigar cutters for any budget. 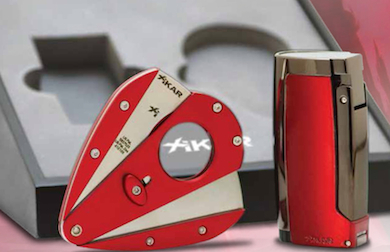 For more information on cigar cutters check out our article on How to Properly Cut a Cigar. Ever since man discovered fire we have been playing with it every since. When it comes to lighting up your favorite cigar, you get to be much more stylish than rubbing together a couple of sticks! Not only can a great lighter be a conversation piece, it is also a valuable tool for creating a great cigar experience. For more information on cigar lighters check out our article on How To Light A Cigar. More than just a place to park your ashes, cigar ashtrays are constantly on display (even when not in use). Sure, you can use an old soup can to place your ashes but why not step-up a bit in style? Whether you are looking for a cigar ashtray to match a specific room or you are looking for something that can help in a certain environment (like wind for instance) we have some excellent choices. 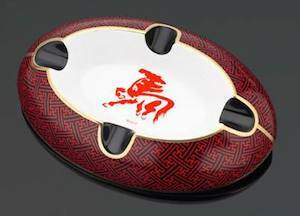 For more information visit our article on Selecting Cigar Ashtrays. Prometheus: We carry lighters, cutters, Ashtrays, cigar cases, hygrometers from Prometheus besides Prometheus humidors. Col‎ibri: We carry Colibri Lighters, Cutters, Ashtrays, Cigar Cases besides Colibri Humidors. We also carry Firebird accessories as well. Siglo: We carry Siglo lighters, cutters, ashtrays, Cigar Cases besides Siglo Humidors. 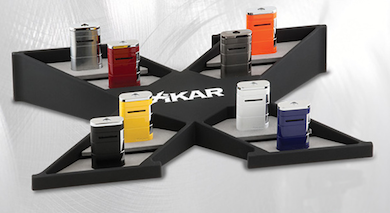 Lotus‎ & Vertigo: Lighters, Cutters, Ashtrays, Cigar Cases besides Humidors. Zippo: Lighters, Blu lighters by Zippo, Ashtrays, Money Clips, Flasks, Watches, Pens etc. Rocky Patel: Lighters, Cutters,Ashtrays, besides Humidors. Further we carry a large selection of Pipe Accessories as well.